History, pride, prestige, bloodshed and intrigue. Castles around the world have provided so much fascination and interest to historians of all generations. Many, especially in the British Isles have shared a bit of a common timeline. First constructed in some capacity pre-Middle Ages. Then, expanding into bigger fortresses of power until the time of the English Civil War in 1649. A lot ransacked and some left in a mostly ruins state but others experienced changes of use. Some reinvented as stately homes inhabited by various Dukes and Earls even to this day. Others left in ruins, shadows of their old glories for centuries. Until, as in some of the most notable cases here, dedicated restoration campaigns would enable the inquisitive public to re-discover. Today hundreds of grand castles that were once inhabited by royalty (and some indeed still are) provide some of the best days out for education and adventure. Explore stately rooms and special exhibitions dedicated to the events that took place on these grounds. Wander along ramparts and along the grounds admiring some stellar views of the towns these castles guarded so fiercely. Particularly for the younger visitors – or just young at heart – are the entertaining and informative interactive experiences. A chance to take part in some historical re-enactments, maybe? 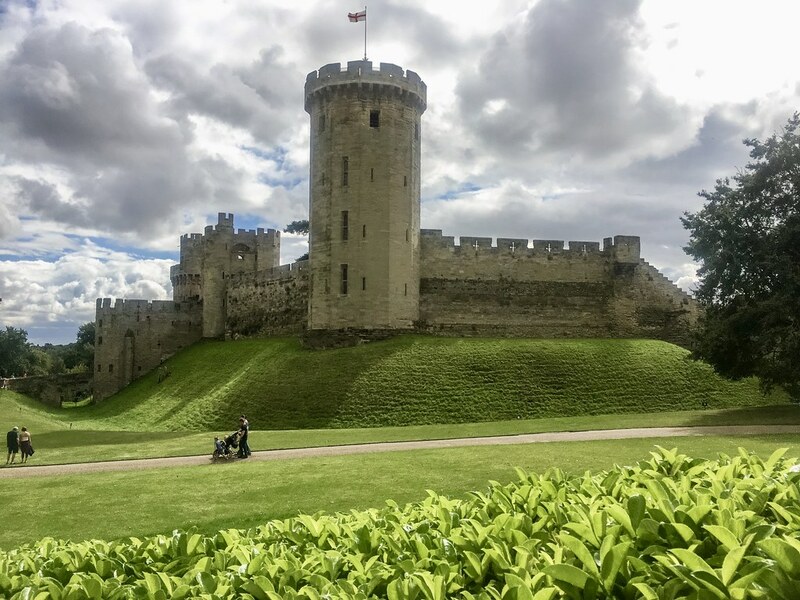 With so many to choose from, here are my choices for the 20 castles in the UK and Ireland that I think should be at the top of your must visit list. Some of which indeed are still resided in by aristocracy to this day. All of which located in some of the most unique and dramatic locations with eventful stories to tell. Standing high and mighty on a rocky crag overlooking Princes Street, nothing defines Edinburgh like its castle. 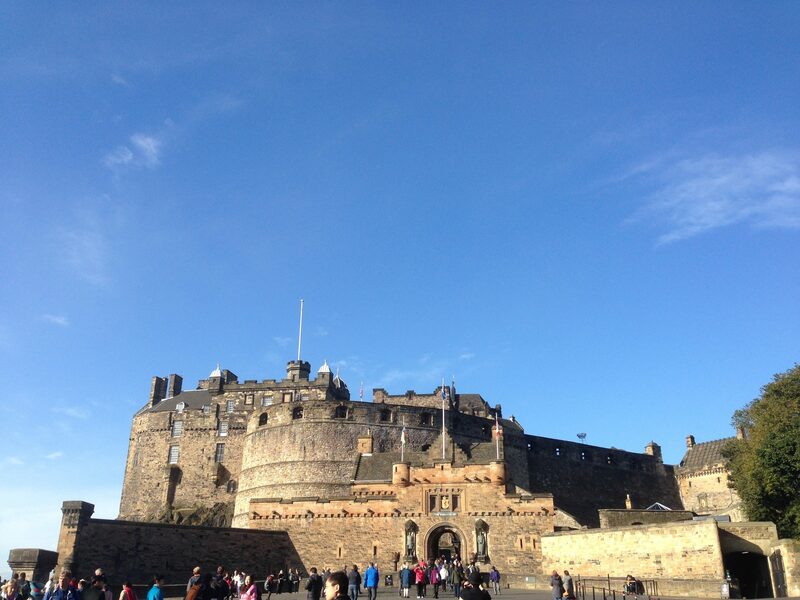 Truth be told Edinburgh Castle carries with it a wealth of history and spectacular views far across the Forth. The castle has evolved from a royal residence in the Middle Ages to that of a fortress against the Jacobite uprising and later on a prison. The oldest surviving building – St. Margaret’s Chapel – is the smallest, you may find it hard to move around inside! Taking pride of place is arguably the Great Hall that dates back to James IV in the early 16th Century. With armour-plated knights and swords decorating the wall it feels as though time stands still. Also, monuments remembering Scotland’s soldiers in the world wars and displays honoruing the Royal Scots Guards highlight the great pride in the heritage. On another topic, the dark and dingy former prisons make for an interesting exhibit. The closest you will get to sampling prison life? The One O’Clock cannon salute is another special occasion and speaking of special occasions the castle is of course always in the international limelight with the Royal Edinburgh Military Tattoo every Summer. Many displays as well showcase the Scottish military history as well. Cliched advice this may seem but I cannot emphasise the importance of arriving early. Long queues are no fun, and arrive before last admission time you don’t get much reward. Dedicate a full half day to exploring the grounds and the mini museums within. May 2018 and all eyes of the world were on Windsor Castle for a very 21st Century royal wedding involving some Z-list actress nobody had ever really heard of. That notwithstanding, the Queen’s regular weekend residence (indicated whenever the flag is flying) makes for a great day trip from London, only a half hour journey away from Paddington Station. Built in its original form by William the Conqueror shortly after 1066 to keep out invaders, the mound itself has grown ever since. The unmissable round tower that stands proud is always visible from a distance certainly in nearby towns like Maidenhead and Slough! Going inside the Gothic St. George’s Chapel (closed to the public on Sundays) is certainly worthwhile, especially when visiting choirs are practicing. The vary lavish State Apartments are laid out with all rooms as they were inhabited in. At the moment, you will find a lot of memorabilia and photography of the wedding of the Duke and Duchess of Sussex almost to the point of overdrive! But hey, it was certainly an exciting and memorable occasion to be part of and those who braved the crowds and eyes of billions watching on TV will have a day to remember. One room in particular that I found very fascinating was the pottery and ceramics room, one of the first you enter from the North Terrace. The different vases given to the Royals are gleaming in their display cases. Blue shining Delftware plates and fine, delicate Biscuit Porcelain, this is particularly an essential for pottery aficionados. The town of Windsor itself with its genteel riverside setting is certainly picturesque in itself and worthy of a day out regardless. Also, a short walk over the bridge is Eton, home of one of the most exclusive and prestigious boarding schools. The classic image of a giant castle surrounded by a large round moat has enthralled imaginations of all ages. There are few more real life examples of this than Leeds Castle. This, despite the confusing name, is near Maidstone in Kent and not Leeds, West Yorkshire! Most prominent during the rule of Edward I and furthermore during the reign of Henry VIII, this does feel like one of the great British castles that truly do take you back in time. Having been one of the few spared destruction during the English Civil War, many parts of the castle date that back so many centuries feel just like they did at the time. Also makes for one of the most family friendly days out in England as well. With a maze, a pro golf course and even something as quirky as a dog collar museum you cannot deny that a visit to Leeds Castle contains something for everyone. This year (2019) does indeed mark Leeds Castle’s 900th anniversary. Inevitably, there will be a series of special events taking place to mark this milestone. As well as a special “Carnival of History” festival taking place in July, there will be new installations of an adventure playground and golf course continuing to make this a popular family day out. So for those, like me, who may not have the time for a full 18-hole course but always jump at the opportunity for some mini golf, this is another great way of mixing education with leisure! With the giant turreted towers standing tall and the moat and portcullis entrance over the lake, Bodiam Castle in East Sussex surely represents one of the most quintessential English castles. 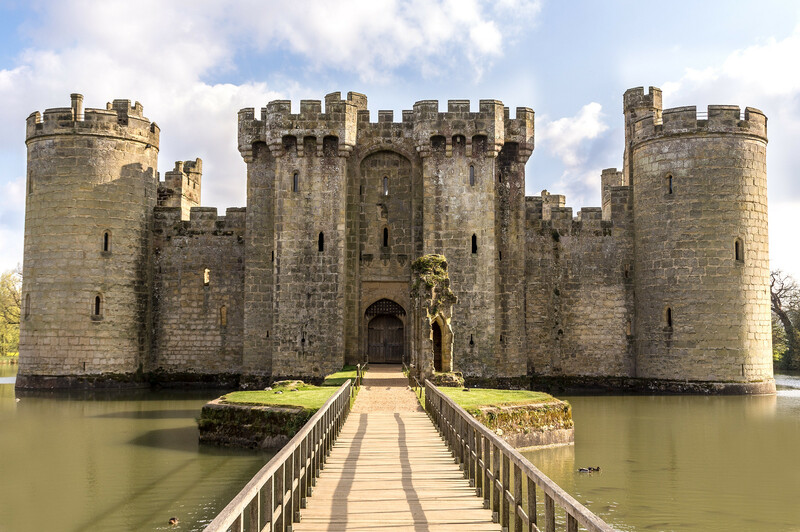 The quadrangular shape of the castle and its defences reflecting against the water makes Bodiam Castle look like something straight out of legend. Built upon the request of Richard II during the Hundred Years War and went through different ownership until it became vacated during the outbreak of the English Civil War in 1649. Abandoned and an isolated ruin for nearly two centuries until a series of renovation projects commenced in the Vicorian era before being in full ownership of the National Trust since 1925. Since then, this picture perfect Medieval castle has opened its doors to the public fascinated by its surroundings. Ample opportunity to bring back childhood memories of armour plated sword-duelling knights guarding the drawbridge. Inside the ruins and open roof (former) interiors, climb the staircase to get a superb view of the Sussex and South Downs countryside. Plenty of informative activities for the younger visitors are on offer too. Have a go at some archery and also admire the pottery and crafts on display too. Located in a tidal location in the remote isolation of the West Highlands, Eilean Donan really is photographer’s dream. 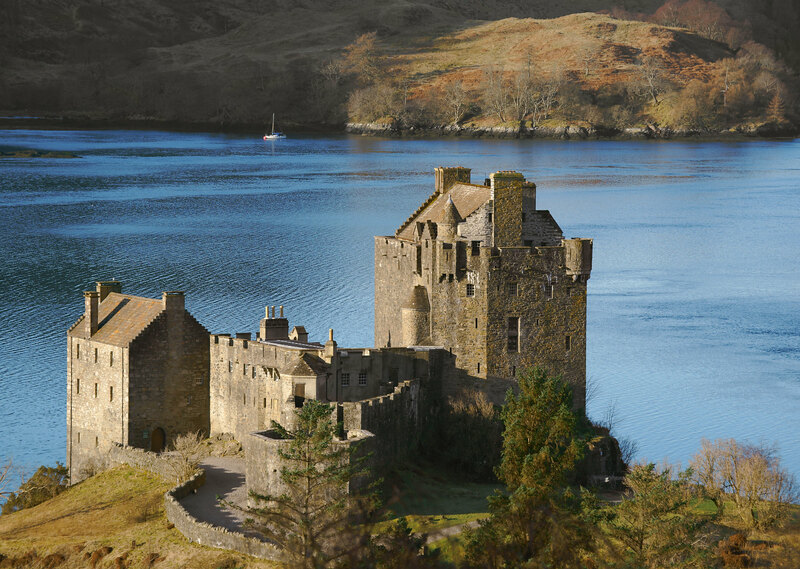 Without doubt one of the most iconic images of Scotland, the remnants of this grand castle on a small island at the meeting point of three sea lochs could not be more poetic. Long held historical connections to the Mackenzie clan, it stood until the destruction and capture in the Jacobite Uprising of 1719. Not surprisingly this has provided a very popular film and television location (James Bond, Highlander) as well as weddings. The splendid isolation of Eilean Donan in the Kyle of Lochlash seems a world away from the conflict of its past. When visiting the Highlands, there are so many different itineraries that you end up whizzing through each location without properly appreciating. For those of us who prefer the slow travel option, what could be more quaint than actually staying at the castle cottage or nearby state apartments? So rather than just visiting the castle on a hurried day trip, instead absorb the nearby scenery and also perhaps this would be one of the best ever locations for a digital detox! Wake up to the sight of the fortress standing proud among the crystal clear waters and distant mountains. More so, a fine base for more in depth Highland explorations. The residence of the Duke of Northumberland since 1309 but more recently recognised as the filming location for Hogwarts. Surrounded by acres of beautifully structured gardens and also with falconry displays, Alnwick represents one of the most ideal days out for children and adults in equal measure. A first glance at the castle and devout Potter fans among you will recognise the place instantly. Alnwick’s castle gardens are an attraction too in their own right, of many designed by Capability Brown. The cascading fountain and orangery typical of 18th Century landscaping similar to many continental palaces (such as the Belvedere in Vienna). The grounds that stood in for the Quidditch pitches in the Harry Potter films and other lavish TV productions such as Downton Abbey and the original Plantagenet set Blackadder series. The Percy dynasty of Northumberland were keen collectors of artefacts. Inside the castle are special exhibitions dedicated to their collections. The splendid state rooms and dining halls with the Renaissance marble interiors reflect the lifestyle perfectly. Such is the Potter influence that the castle has a few highly entertaining interactive games and activities. Enter the Dragon’s Lair with Sir Henry Percy himself to slay the fearsome, fire breathing dragon of Northumberland and also get to experience how to ride on the broomstick and also test your archery skills. A possible future Olympic gold medal in sights? 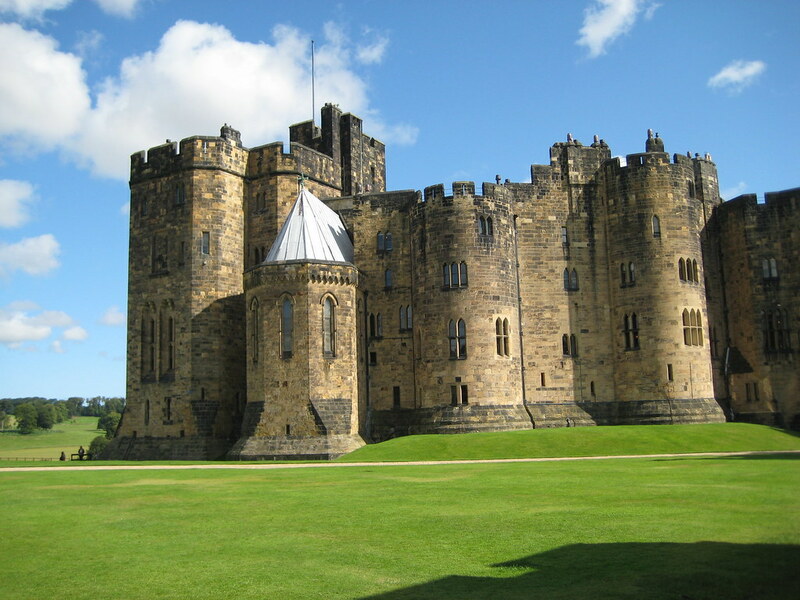 Note – Alnwick Castle is only open to the public from the end of March to the end of October. Please check for updates and plan accordingly. 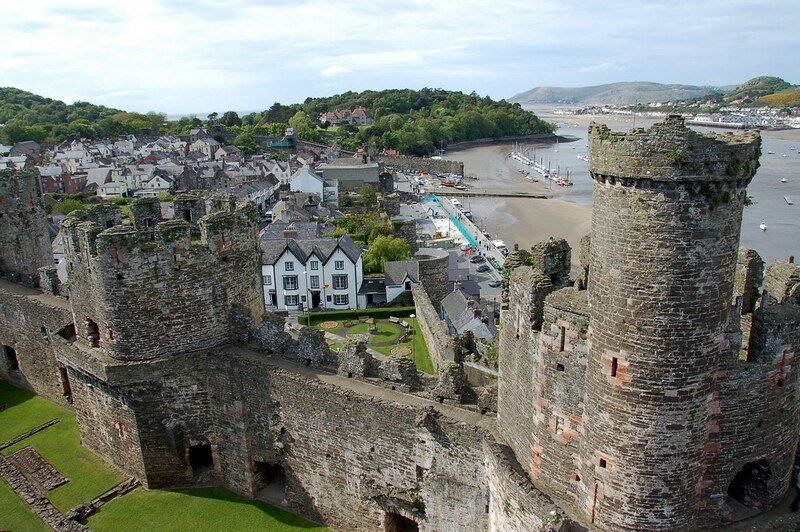 One of the many great North Wales 13th Century fortifications of Edward I, Conwy Castle is located at the edge of the town itself. This, connecting to the great suspension bridge providing a spectacular view ahead. Nearly surrendered soon after construction but survived many battles until falling into ruin after the English Civil War. Essentially two castles in one with a military castle inside the main castle. That type of planning being most popularised by Edward himself. Wandering around the insides of the castle fuels your imagination to think what life would have been like in its heyday. The “walls within walls” layout feels almost like a maze. Or one of those isometric scrolling video games of the past? Adding to the castle’s splendour is the views from the top. Walking along the ramparts and look out to the sea. You can get a feeling of being on the lookout for possible invaders. Remarkable to take in that the castle walls were not only the castle walls but also those of the town itself. A very interesting quirk at the base of the castle is the “Smallest House in Great Britain”. Who would live in a house like that? Any chance of being listed on AirBnB sometime? Also nearby, the Bodnant Gardens at the site of an old manor house are one of the most serenely landscaped gardens in the UK. This as well would make for an excellent extra addition to your North Wales itinerary. 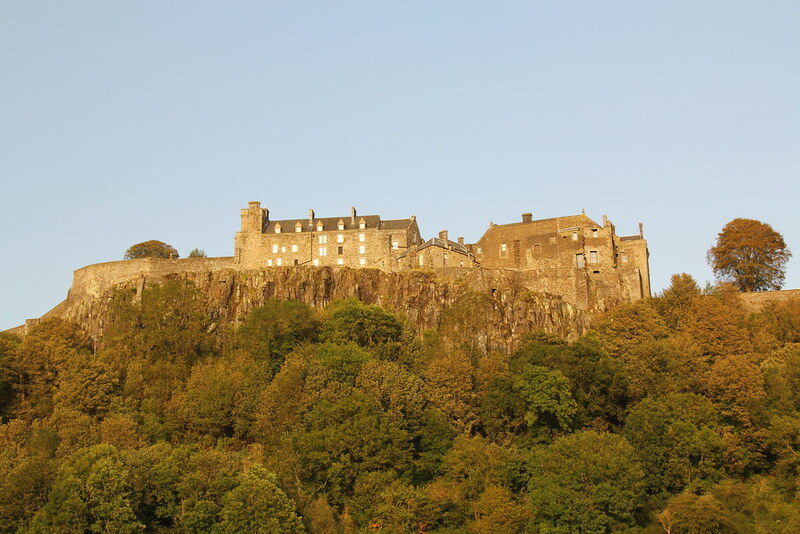 Up on a rocky crag overlooking the city of Stirling itself, the castle is one of the largest and oldest and has withstood many an invasion. The statue of Robert the Bruce near the entrance commemorating seeing off the English forces at nearby Bannockburn is testament to this. Reverting to use as more of a prison in the 17th Century, the restoration of the inside rooms and coats of arms maintain its former glories. The royal portraits inside the Royal Palace that adorn the ceiling are among the most wonderfully maintained sights. Among the great treasures of significance include the Stirling Heads Gallery, the carvings of Kings and Queens from past centuries and also the tapestry room. For younger visitors there are a number of great educational exhibits located in the Palace Vaults. Here, you can find different sections that teach about different tools and items used in the past. Rooms of yore such as The Great Kitchen are authentically preserved to maintain that feeling of how life was. Outside, just past the castle walls, Argyll’s Lodging is an smart extra residence flanked by a quiet courtyard. Cannons line up at the ramparts still, though not in use. More often than not Stirling Castle remains a very popular live concert venue, especially in the summer. The largest castle in England, Warwick Castle’s history started out in Norman times. Like with many others of that era, it expanded over the centuries. A motte and bailey structure of its truest form, Warwick Castle went through a period of change of use after the Restoration of the Monarchy in 1660. Eventually became less of a royal residence and more of a stately home with immaculately styled gardens. Its giant towers and ramparts stand tall and proud, visible from a distance. There is also little doubt that Warwick Castle really is one of the best locations for a family day out. Among the castle’s star attractions is the dramatisations of plague life in the castle dungeon and historical jousting re-enactments. Likewise, a wealth of interactive games perfect for families are available. Navigate the Horrible Histories maze with different time zones. Get into battle with the Earl of Warwick, Richard the Kingmaker and learn about some of the most gruesome events from history that took place in the Castle Dungeon. Another eye catching experience is the daily Birds of Prey shows that take place in the castle grounds. Perfect for group evenings out are the authentic Medieval dining experiences at Warwick Castle. Book in advance for a dinner with a proper olde service experience.Dress up in costumes and jesters hats and drink ale from an old fashioned wooden jug! For those who love a bit of unusual dining, you know where to come! With a history dating as far back as the Roman times, one of the stand out features of Cardiff Caslte is the ornately style banqueting hall and its ceilings. This reflecting on its evolution through the ages from the Roman wall remains to the Norman motte and bailey keep. Later in the 18th Century changing use from fortress to Victorian style stately home of the Bute family until 1947. The carvings and artwork of William Burgess, 3rd Marquiss of Bute are what catches the eye. The layout of the bedrooms as last occupied by the Bute dynasty seems almost untouched. 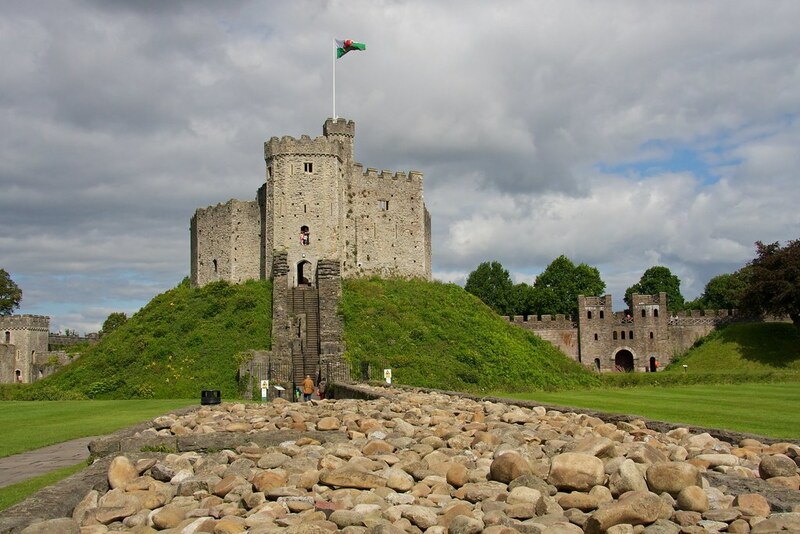 A recommended part of any visit to Cardiff Castle is to visit the Clock Tower and see inside the workings of one of the city’s most colourful spires. Organised tours led by dedicated experts take place every day and are a must for keen history and archaeology enthusiasts. Within the grounds the Trebuchet replica shows one of the castle’s most lethal weapons from back in the day. But of course, not in use for demonstration today thank you very much. I somehow do not think any innocent bystander would appreciate being caught up in the firing line! Standing out over the Anglesey coast is another of Edward I’s great North Wales fortresses of the last 13th Century. The last but possibly the largest and grandest (yet not fully completed) of his castles, may also take first place in a list of castles with the finest views. Undoubtedly the most ambitious. Located over the water in Anglesey, guarding the small town of Beaumaris itself, the views of green fields and hills seem endless. A vista almost straight out of a Constable painting. Often regarded as “the most technically perfect castle” for its “castle within a castle” layout and design, with the inner and outer walls forming an almost symmetrical shape. Twelve towers were constructed on the castle’s moated Outer Ward which itself guarded the Inner Ward of six towers diametrically opposite one another. Yet for all Edward’s ambition, Beaumaris was never resided in by anyone nor did it play much part in any major conflicts. 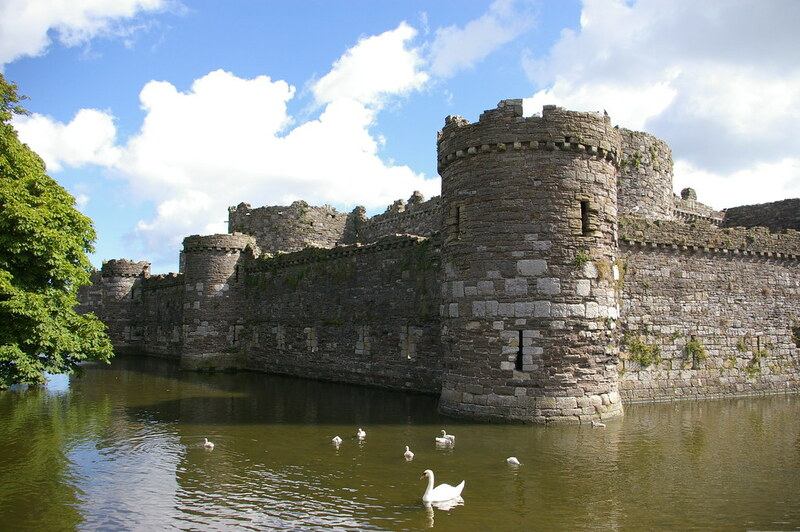 In truth it is location and surroundings that make Beaumaris Castle a source of fascination to visitors and artists. Exploring the insides of the Inner Ward, it leaves to your imagination what rooms each square would have become had the castle been fully completed. Or just get your watercolours and easel and admire and recreate the vista on canvas. And of course, the ducks will always love to swim in the moat too. Connected to a campus of the university, one of the great Norman keeps built at the behest of William the Conqueror stands side by side with Durham’s imposing Gothic cathedral. Occupied for many centuries by the Bishops of Durham as protector of invasions from north of the border. Changing use it did from fortress to then residence after the Restoration of 1660. 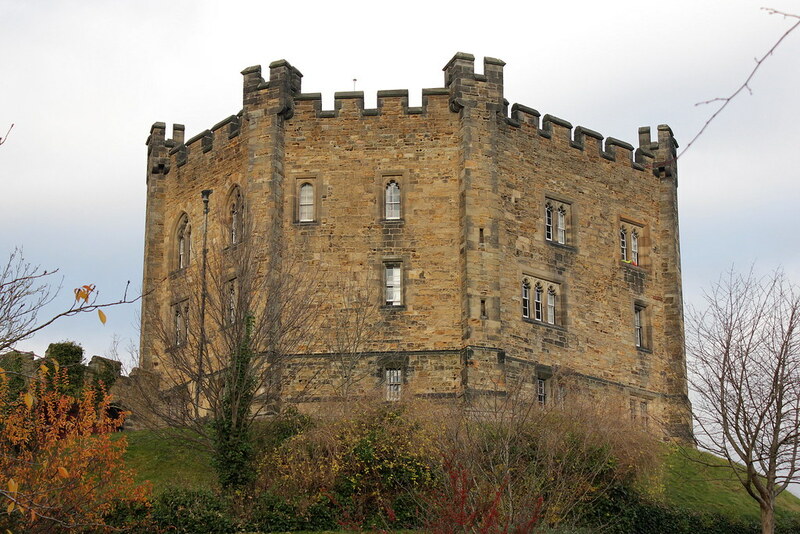 Durham Castle became part of the city’s university in the 19th Century doubling up as both a hall of residence and a museum showcasing its history. For freshers the quirk of living in a castle has its charm! As it is in use as a university building, guided tours need to be booked in advance and are available only on select days. Do bear this in mind if planning a visit as you cannot just spontaneously turn up and expect to see the castle’s interiors at any time. Inside are some vast collections of oil paintings that contain portraits of many of the former bishops who resided here, and a mixture of armoury and also memorabilia from the university’s history. The Emerald Isle’s grandest Medieval castle was occupied for centuries by first the Earls of Pembroke and then the Butler dynasty. The latter from the 14th Century to the early 20th. 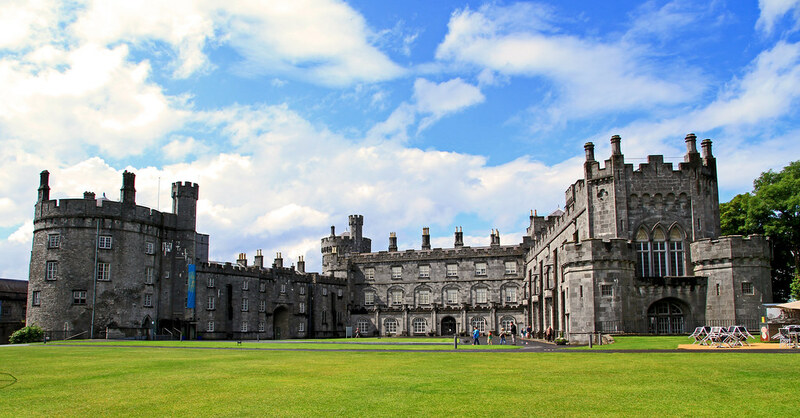 Nowadays, towering majestically above the River Nore and the town below, the stately appearance of Kilkenny Castle attracts visitors, particularly for its beautifully planned gardens. In the castle, grand lengthy halls almost characterised by different coloured wallpapers are incredibly striking in appearance. The crimson red of the portrait gallery, the sky blue of the ballroom and the mustard yellow of the library room. Forever associated with the legend of Robin Hood, the great Nottingham Castle witnessed the siege of King John and later was under Edward I a parliament. The old castle itself was completely destroyed in the Civil War but what stands in its place is the Ducal Mansion. Resembling more of a stately manor home than a castle, this was built after the Restoration of 1660. 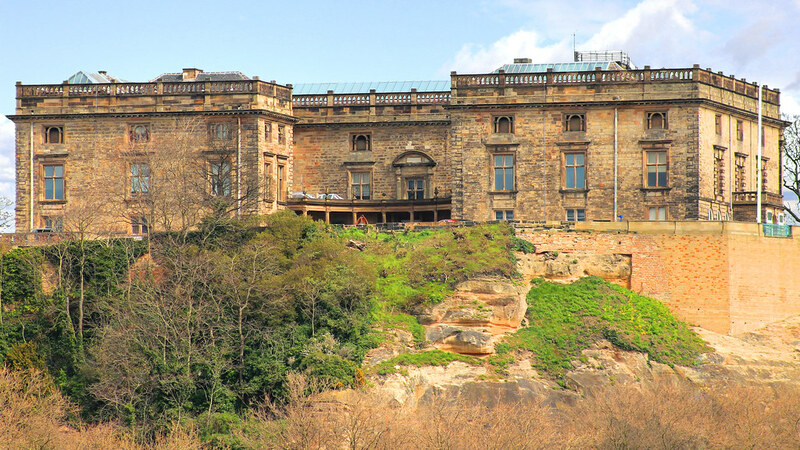 Currently closed until 2020 when Nottingham Castle will re-open to the public. This after having undergone one of the most ambitious and extraordinary regeneration projects. Telling the story of not just the castle from the days of Robin Hood but also the city of Nottingham and its contribution to the paper lace industry. A tour of the dark and dingy caves below the castle is always just one of the essentials of a visit here and also at the foot of the Castle Rock is the Ye Olde Trip to Jerusalem Inn, which is one of a few pubs that lays claim to the title of oldest tavern in England. There is also a statue of Robin Hood at the foot of the castle. But you do ask yourself, was he real or a folk legend? Lincoln was one of the most important cities in Norman times and records of a mound on the current site pre-date this to Roman and Viking times. A most significant draw to the city of Lincoln is the chance to see original copies of the Magna Carta. This, the charter which was read out in 1215AD to declare the new rule of England has been preserved in the cathedral ever since. One of only four locations in England. During a recent archaeological dig in 2013, a series of skeletons were found. These are now on display in a fascinating exhibition, likely that they date back to the time of Vikings. This again another great opportunity for the archaeologists to research life before a anything resembling a castle was constructed. Go inside and explore the restored Victorian Prison. It is here that during the reign of she who was not amused, delinquents of all backgrounds were kept here for crimes as severe as murder or even petty thefts. As much a fortress to keep enemies out as a fortress to keep the undesirables locked in! Of all castle “wall walks”, this has got to be one of the very best. Along the way pause and explore various different towers and dungeons that have many gory stories to tell. For here prisoners were hanged and soldiers guarded the fortress but today get some splendid views inside and outside. Looking in at the castle courtyard and gaze at the Castle Green inside the grounds. On the other side get some of the most splendid views of the giant spires of Lincoln Cathedral, the great Tudor buildings of the city itself and the countryside the stretches many miles away. 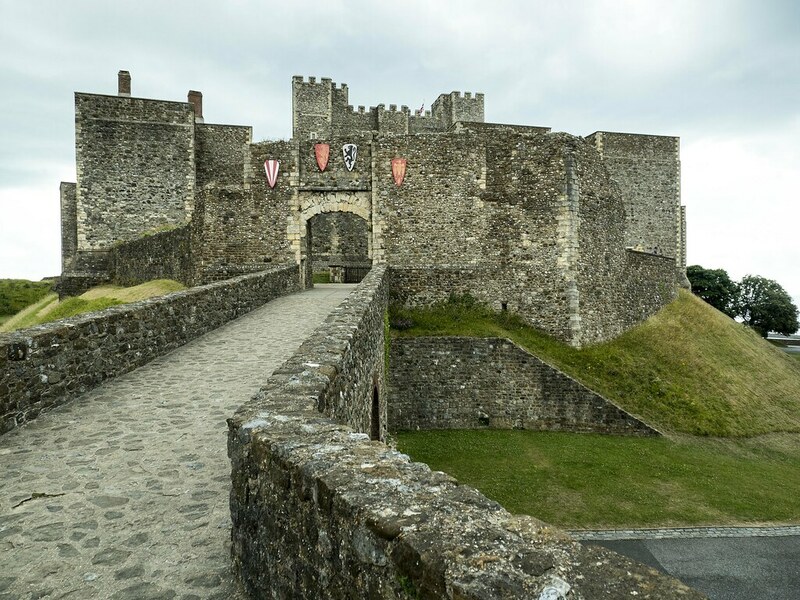 Standing intimidatingly overlooking the iconic White Cliffs, Dover Castle’s location has always been as the “Key to England”. Another of the Norman constructions that expanded greatly in the 12th Century with the Great Tower and keep constructed by Henry II, one of its most eventful periods was during the Second World War. The barracks became an air raid shelter and today visitors can really get a sobering insight into the significance of Dover during the war. The Underground Hospital still looks untouched since 1945, and brilliantly informative is the interactive retelling of the Dunkirk. Likewise a tour of the castle’s underground tunnels to the HQ for Naval officers that played their part in Operation Dynamo, where you can see the equipment used for telecommunications between Dover and Dunkirk. It is a lot to take in how so many officers contributed to something so crucial in such dark conditions and with very little rest. The Great Tower and state apartments are unmissable too. Getting something of a revival in the public consciousness thanks to local boy Ed Sheeran’s usage in a recent music video, Framlingham Castle’s grand walls provide stunningly photogenic views of the market town itself and the surrounding countryside. The former home of the Earls of Norfolk, the grand Suffolk fortification’s most eventful period was the Tudor years. This being where Mary was at when she learnt she had succeeded Edward VI to the throne. Subsequently, becoming the first female monarch. Although now in ruins status, the one remaining building that has survived is the old workhouse with many artifacts from centuries gone by. The views of the old privy gardens are serene. Framlingham Castle is also very well stocked with great hands-on activities and features perfect for families. Play dress up with the elaborate capes and hats from monarchs past, interactive games that recreate Tudor times and also the “Under Attack” family trail is both entertaining and informative. 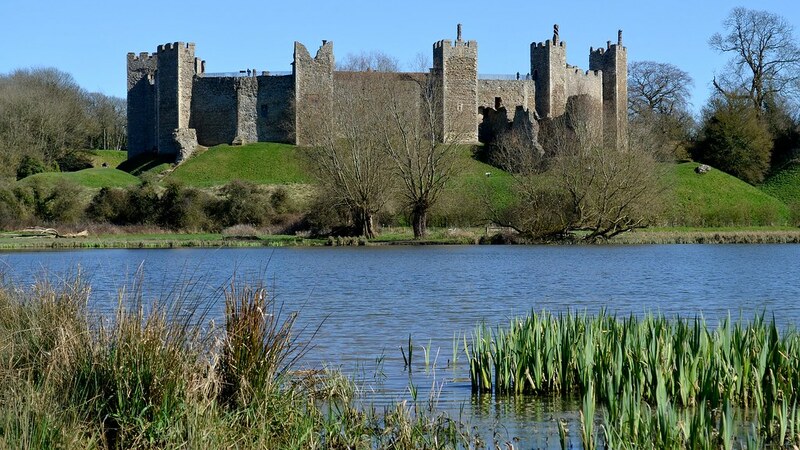 Numerous other exhibitions that tell stories of the grim goings-on in the Horrible Histories vein making the imposing walled ruins of Framlingham one of the best family friendly days out. Another one of Edward I’s great motte and bailey fortifications along the North Wales coast. 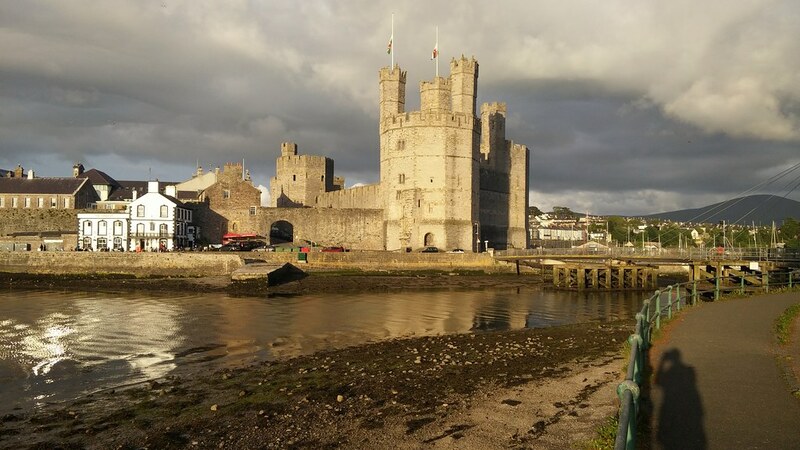 Caernarfon’s position today overlooking the shallow waters and boats moored seems a world away from its position as a defense against invaders in the past. With its polygonal towers and remnants of eagle idents at the top of the former Eagle Tower that housed the royal apartments, this shows the imposing and intimidating structure. Today, the grounds where the rooms once stood makes you wonder what the castle looked like in its glory. Now open air and from time to time you can even witness a mock medieval jousting sword-fight. In one of the towers is the collection of uniforms of the Royal Welsh Fusiliers. It’s a long way to Tipperary, so goes the famous wartime song. But it’s a long way back in time to chronicle the history of the county’s oldest settlement. 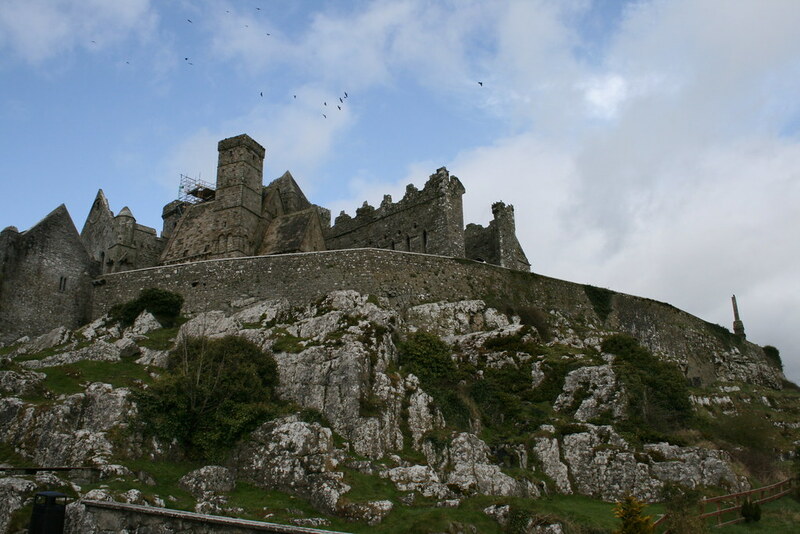 The ancient seat of Irish kings for between circa 450AD and the beginning of the 12th Century, the Rock of Cashel feels almost like the soul of Ireland. It is here that St. Patrick came and brought Christianity to the land. According to legend, in the 5th Century AD he baptized King Aengus, Ireland’s first ruler. Used later as a monastery, all that is left now are ruins. What’s left scatters across a giant mound overlooking the distant green. At times feels hard to believe a fortress once stood here. Today, this icon of Co. Tipperary is also a fascinating location for your Time Team inspired archaeologists. Remnants of ancient Celtic art add to the mystery of what once stood here. Parts of a former abbey and cathedral still remain, symbols of Ireland’s Ancient East. Adding to the mystery, your observant eyes may also spot some signs of Viking history and runes in the vicinity. Its legends are as grand as the tower itself. 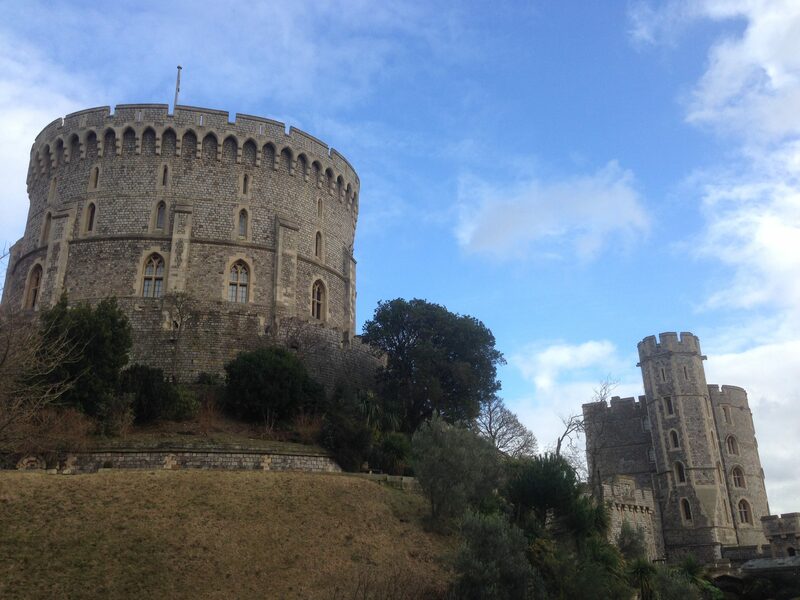 In the past it has served as a royal residence, a prison and a dungeon and also location of the crown jewels. 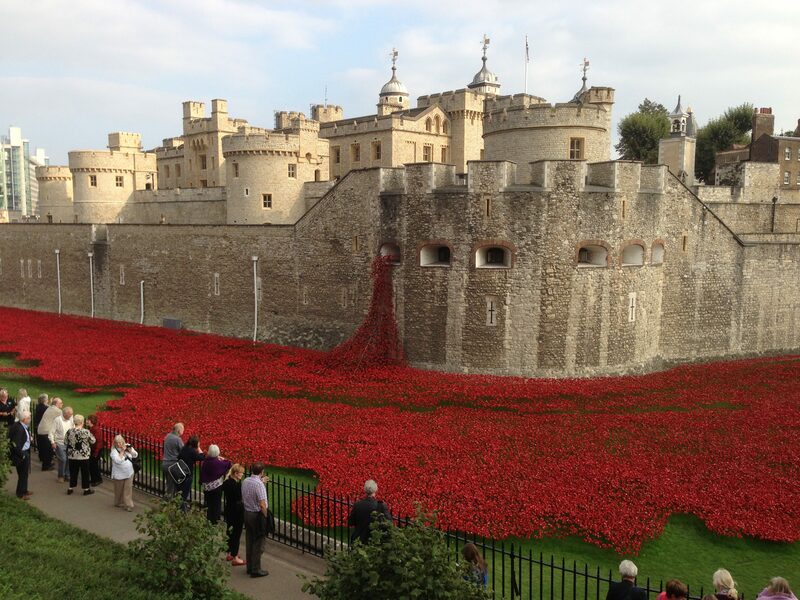 One thing in no doubt is the tower’s enduring fascination with history enthusiasts. Highly recommended is to go on a tour led by the immortally famous Beefeaters that guard the tower and its famous ravens. Who better to bring to life the history of the Tower and legends associated? The ravens indeed guard the tower. Legend has it that if any of the ravens are to fly away and never return, then the tower and kingdom shall fall. Subsequently the ravens’ wings are gently clipped so that they are able to return to the Tower and have no trouble relocating it when it’s time to come home from a free flight. The undisputed highlight of a visit to the Tower for anyone has to be that of the Crown Jewels. The main crown and assorted robes and staff and other regalia used to crown the ascending Kings and Queens of England are kept here. Battle fortress, royal palace, prison, court of execution. The Tower of London has played many different roles since Norman times and numerous exhibits around the grounds tell its colourful and eventful history to visitors. 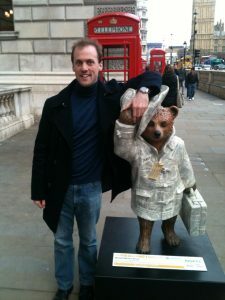 An essential must see of any London visit, I would really prioritize arriving as early in the morning as possible to make the most of your time here and be able to absorb so much fascinating information.